According to the latest records published by the National Statistics Bureau (NSB), import of diesel grew by 10 percent in 2017, compared to 4 percent increase in 2016. Import on petrol also increased by 8 percent as compared to 6 percent in 2016. 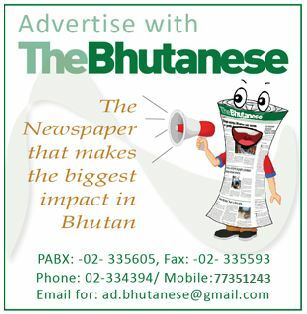 Bhutan’s diesel import accounts for 78 percent while petrol stands at 22 percent of the fuel import. Bhutan imported around 0.14 million (mn)kilolitres (kl) of diesel in 2017 as compared to 0.13 mn kl in 2016 and the import of petrol in 2017 increased to 0.04 mn kl from 0.035mn kl in 2016. The consumption pattern indicates that the service sector accounts for as the highest consumer at more than 38 percent, which is followed by industrial sector at 22 percent, households at 21 percent, agriculture sector at 13 percent, and consumption by foreign vehicles at 7 percent last year. The consumption of fuel for trade and transport margin recorded at Nu.10. 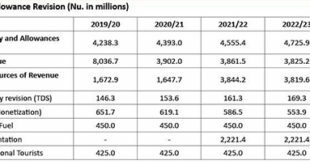 148bn, which is an increase of almost 13 percent in 2017 as compared to Nu 8.977 bn in 2016. 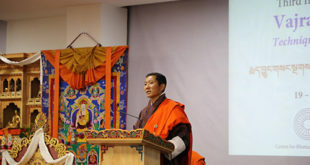 It is also to be noted that from the total import of petrol and diesel, the certain percentage of the fuel are consumed by Indian vehicles plying on Bhutanese roads for business purpose, Indian tourist vehicles and it also includes those Indian vehicle refueling in the bordering town of Samdrup Jongkhar, Gelephu, Phuentsholing, and Samtse. The increase in the fuel consumption can be attributed to the increase in the number of vehicles imported over the years. As per the records with the Royal Safety and Transport Authority, 7,954 units of vehicles were imported in 2017. The highest was the import of light vehicle at 4,916 units, followed by heavy vehicles at 754 units, taxis at 732 units, two wheelers at 545 units, earth moving equipment at 460 units, powertiller and tractor at 411 units, medium vehicle at 132 units and electric vehicle at 4 units. Household sector tops the list with 63 percent of the total vehicle ownership, followed by service sector at 24 percent, and other sectors, like industries and agriculture, livestock and forestry sector accounts for close to 15 percent. As of December 2017, there were a total of 92,008 units of vehicle in the country. However, import of kerosene decreased from 4,791 kl in 2016 to 4,238 kl in 2017.The import decreased by almost 12 percent in 2017 as compared to positive growth of 4 percent in 2016. With a majority of the Bhutanese households depending highly on LPG for cooking purposes, the import of LPG increased to 9,298 metric ton (mt) in 2017 from 8711.57 mt in 2016. Of the total LPG import, 1251.72 mt constitutes consumption by industries and 8,046.82 mt was for household purposes.